Friends, today I will be sharing with you how you can unlock your Android phone or Tabket if you have forgotten your pattern. 1.Either using your Google account(Require Internet Connection). 2.Without using your Google account(Offline). Note: It will reset your phone data and all apps stored on your phone. If you also forget Google account details then what? 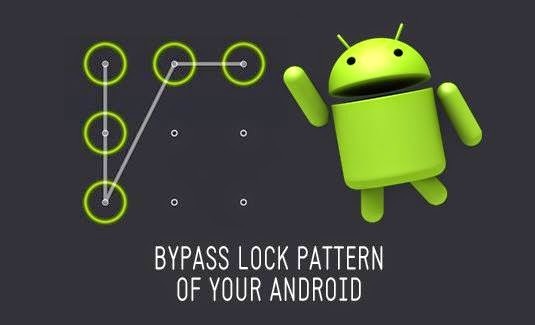 Here we have solution for this and that is factory reset your android device. Lets see step by step how to do it. Now press Volume up, power and home button at the same time and wait until your device starts. When you see logo screen release the power button and keep pressed the other two buttons. Now your screen shows android system recovery and there is a list. Use Volume up or down keys to select option from the list. And select factory reset option and then press power button to let the action begin. Now it asks you for confirmation, select “yes”. After factory reset completes, it again shows you android system recovery screen. Now select reboot option and after restart it will not ask you for pattern. In step 2 we use three keys Volume up, power and home. But it may be possible that in some phones home button is not available so you can press Volume up and down with power button. Most people don’t set a security question. But if you have set it then simply answer the question and unlock your device quickly. Otherwise check the Google account option and click “next”. Hope this help you guys….Happy Blogging.